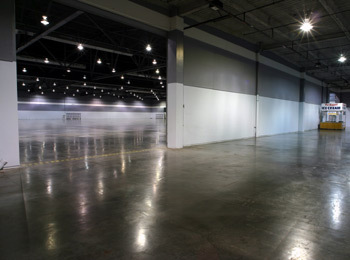 This 30 foot high, 4,500 square-foot space between Halls D and E operates as a connective space between the two immense exhibit venues. Built in 2001, the connector hall has ideally been used as a food court by those renting either Halls D or E or both. Does not rent as a stand alone venue.